Denali (Mt. 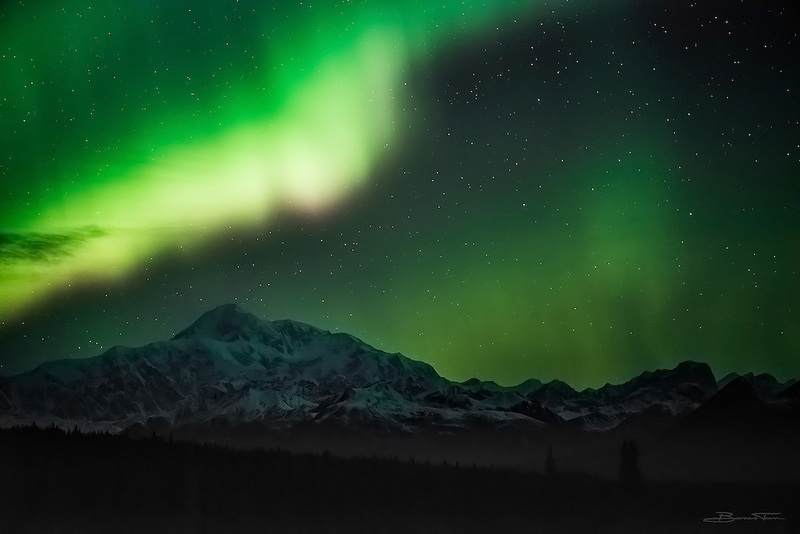 McKinley) under the aurora borealis... I've been waiting a long time to capture this! It was a long night: 5 hours of driving, a few hours of waiting for the lights to show, and a few moments of sheer joy when they burst into life over the tallest mountain in North America. It was worth the wait.